The GBC Golf Academy offers coaching programs for golfers of all ages and skill levels. The Ultimate Instructional Experience: Built on a foundation of personalized attention with maximum class sizes of four students, our schools are designed to cater to golfers of all skill levels. All schools are held at our state-of-the-art practice facility, with award-winning instructors and cutting edge video analysis equipment, to offer students an unparalleled learning experience. Private lessons will give you a chance to work one-on-one with one of our trained instructors and are great for golfers of all abilities. GBC Golf Academy instructors use Ipad swing analysis software with individual lessons to help show the student what they need to work on. The GBC Golf Academy offers coaching programs for golfers of all ages and skill levels. Please click on the headings below to find complete details. 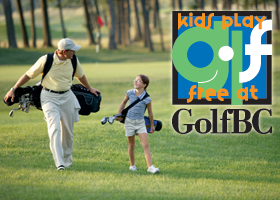 We offer a complete array of lesson programs for junior golfers of all ages and skill levels. *Please note, all packages are subject to a completion deadline. Please inquire before booking to ensure the package is appropriate for your needs. Prices are subject to applicable tax and are subject to change. The GBC Golf Academy introduces our new and improved Group Classes and Clinics designed to create a stimulating and enjoyable group learning environment. Our Classes/Clinics will cover a wide range of topics that cover all parts of the game. These group programs offer excellent value and are a great option for golfers who haven’t had previous instruction or feel more comfortable in a group setting.